Amazon released a new ability for its home assistant: Alexa Blueprint. Learn how this ability will help users build their own skills and customize their home assistants for their lifestyles. When Amazon first released the Echo with its voice assistant Alexa, many consumers thought "Yeah, this is cool, but do I really need this?" 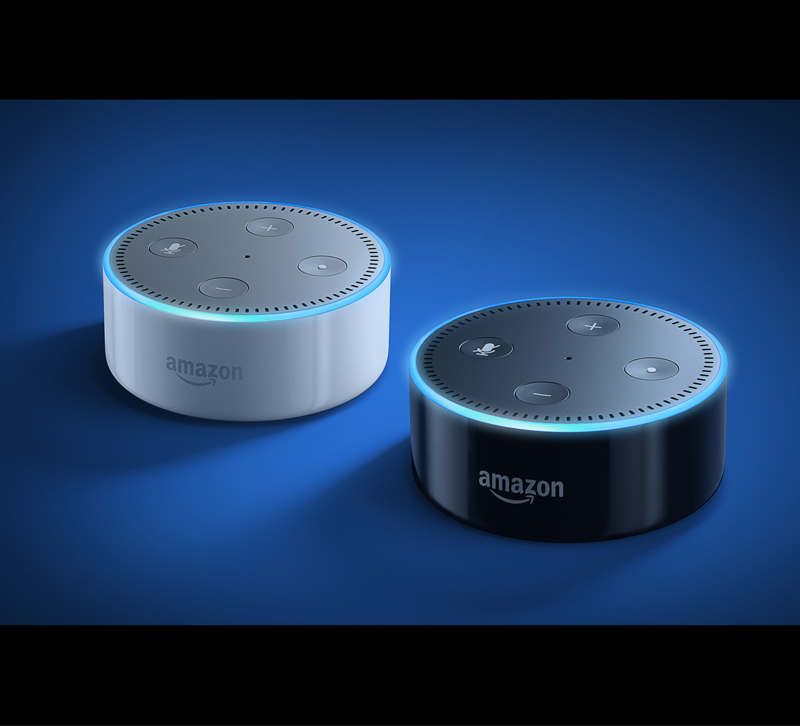 While consumers can connect to their Echo via bluetooth, add their personal information and add Amazon and third-party skills, they were limited as to how adaptable Alexa could really be. Sure Alexa (and Google Home assistant) learns based on what the user asks it to do and buy, but if there wasn't an app for that, there wasn't much users could do to make their Echos a more intricate, needed member of the household. Now Amazon may be changing that. Last week, the company announced the release of its new skill, Alexa Blueprints. With this new skill, users can make Alexa react like one of the family and store helpful information for houseguests, babysitters, pet sitters and forgetful family members. If your customers and clients use the Amazon Echo in their homes, listen up. Here's what you need to know about Alexa Blueprints and what it means for smart homes everywhere. Alexa Blueprints is a database of over 20 new skills that can be customized to the user's liking. Most skills may not be essential, but they are fun to play around with and will certainly inspire some creativity among adults and children. In the Fun & Games category, users can create quizzes, add birthdays to Alexa's lexicon and teach her their favorite inspirational quotes. In Burns, for example, users can teach Alexa "lighthearted" burns and jokes about members of the household while Compliments teaches Alexa something nice to say. Other teachable games include Trivia, Doubles Trouble (a quiz for couples) and Bachelorette Party, which is a trivia game for partygoers to play with the bride. Users can also add their favorite inspirational quotes, which Alexa will repeat when asked, and their family jokes. On the more useful side, Alexa now has Quiz and Flashcards skills that can be reprogrammed over and over. For kids studying for a history or biology exam, these skills can help them study those need-to-remember dates and facts. What year was the Declaration of Independence signed? Which part of the cell contains DNA? This isn't a substitution for homework and regular studying, but it's a more fun, interactive studying experience that kids should enjoy. What may be the most helpful for users is the At Home skill set: Houseguest, Babysitter, Pet Sitter and Custom Q&A. All four skills allow users to upload answers to frequently asked questions related to each topic. With Pet Sitter, for example, users can upload basic information about their pets to help their sitters navigate the home when the owner isn't there, such as where's the leash, what time does Fluffy eat and so on. Babysitter and Houseguest fulfill similar functions. In fact, Houseguest could be incredibly helpful to those who rent out their homes on Airbnb. Guests will never wonder where the extra towels are kept or how to turn smart lamps on and off. Parents can also create stories for their children with the Storytelling skill set, which includes Fairytale, Sci-Fi, Fable and Adventure. Alexa Blueprints won't turn the Amazon Echo into the need-to-have home assistant device, but this new batch of customizable skills gives us an idea of where Amazon wants to take Alexa. It's clear from the Fun & Games and Storytelling skills that Amazon seems to be chasing the next generation of consumers and trying to hook them in from an early age. In the future, these consumers may be more likely to chose an Alexa-enabled product over a Google Home or Apply product, or at least, that's probably what Amazon is hoping for. It also appears that Amazon is trying to make Alexa one of the family, able to recall family trivia and deliver a few choice barbs when prompted. Maybe this isn't an inherently useful skill, but it does encourage families to bond a little with Alexa and foster a little brand loyalty for Amazon. While Amazon plans to release more skills for its blueprints function, there's no word on whether the company will create a smart home-based blueprint skill, but if the Amazon developers aren't already working on it, then hopefully they're reading this now. Alexa Blueprints would be an easy way to sync all the different types of smart home devices that consumers use in one place and control them all. Right now, there are a ton of products that will sync with the Alexa app that controls the Echo, but that's a lot of apps for one phone or device. Having all the tools — as well as FAQs about them — would be a welcomed benefit for many consumers. One possible drawback of Alexa Blueprint could be the security hazard. If a user's Alexa app was ever hacked, then he or she would be giving a ton of personal information to the hacker. For example, adding a query for "What time to we get home from work" under Houseguest, Babysitter or Pet Sitter would tell a robber exactly when to come to a house. Family Trivia also might include answers to common security questions, such as a favorite pet's name or the name of a firstborn child. If you have clients and/or customers looking to make their homes a little smarter, talk to them about these new features and what they could be doing for the future of smart home. For clients and customers starting to invest in smart home products, having a home assistant that will grow along with them can be a huge asset.